Something evil is stalking the streets of Baltimore, our only hope is the new Keeper of the Tether – Sarah Taylor. The only problem? 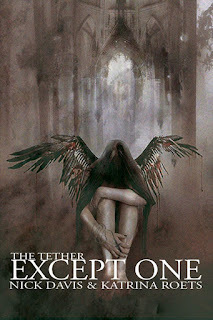 She doesn’t want it and her only guide to this new world she has stumbled into is CT, the grandson of the original Keeper, who really wants the Tether back with his family and Sarah is quite happy to give it back – if the Tether actually lets her remove it. 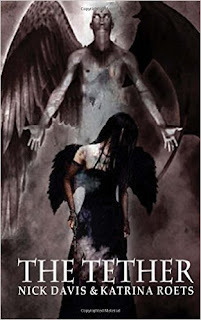 If that wasn’t trouble enough, Sarah and CT find themselves being hunted by a demon, a psychotic killer and a shadowy society; all wanting the power of the Tether for their own nefarious plans, and they will murder Sarah and anyone who stands with her for it. At least Sarah can summon an angelic guardian for protection, if she can only figure out how to make that happen and use the power locked in the Tether to help her. Watch the shadows as the battle for our reality is only just beginning… Set against the real backdrop of Baltimore city this urban paranormal action adventure by Nick Davis and Katrina Roets follows Sarah through a helter-skelter, one night journey into a reality that is disturbingly familiar, but has an unnatural evil stalking its shadows. Available on Amazon in print ($8.99) and on the Kindle ($3.99). Persuaded by CT to help in an investigation that shatters their friendship, Sarah once again finds herself alone and completely out of her depth. Lulled by the seemingly benign leadership of the Vigilie, she turns to the Custodiet for help. Except One, the second book in the Tether Saga by Nick Davis and Katrina Roets continues the adventures of Sarah Taylor as she tries to survive a perilous, dark, supernatural world that exists just in the shadows of our own. Available on Amazon in print ($9.99) and on the Kindle ($3.99). journal after a “traumatic” event so I found this old notebook. I’d rather have something nicer. Oh well. I guess paper is paper and I can write in this as good as anywhere else. 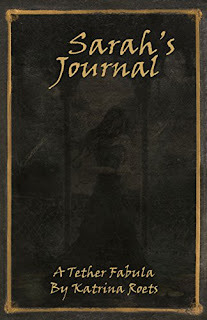 It’d still be nice though to have something nice that will last the years, kinda like the Colonel’s journal. 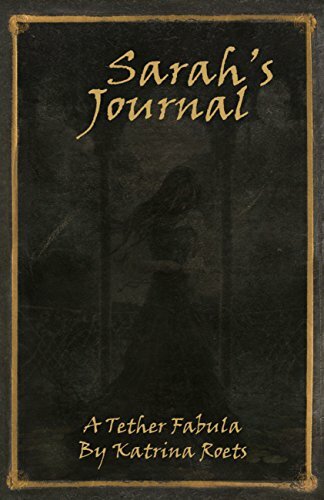 A Tether Fabula - Sarah's Journal covers the events between None Good and Except One from the point of view of Sarah Taylor, Keeper of the Tether. Available on Amazon in print ($6.99) and on Kindle ($1.99).